With the new year upon us, we here at LSRadio thought that we’d pool our resources and have our writers recommend their top tips for artists you should be watching in 2013. Take a look at our clairvoyance, obviously this game is always difficult to predict, but these guys look like sure bets to blow up this year. Hopefully this’ll be a big year for Money. One of, if not the best, new band to come out of Manchester in the past few years and it seems that they’ll be dropping their debut album this year. Recently the band have been steadily adding and deleting tracks via their Sound Cloud page, but eventually treating us to impressive singles ‘SOLONG (GODISDEAD)’ and ‘Who’s Gonna Love You Now’, as well as equally good b-sides and unreleased material. Towards the back end of last year they played a string of live sessions for legendary and influential DJ Mary Anne Hobbes, a ‘Takeaway Show’ for La Blogtheque, sessions for Daytrotter and to top it all offWes Killerbee, head of the Manchester-based music promoters Now Wave, named Money as his tipped band for 2013 in the NME and declared that they are the “most exciting band to come out of Manchester in a decade”, which isn’t said lightly. 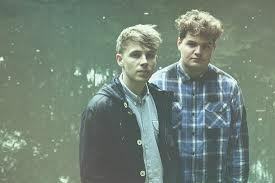 Last May they shared a gig with Alt-J, No Ceremony, Pins and Stealing Sheep– all of which are big upcoming bands in their own rights- and the fact they can play a show with Mercury Prize-winners Alt-J, with next to no publicity, demonstrates their wide scope and potential. They even saw out the year headlining indie label Bella-Union’s ‘Christmas Service’ at the Union Chapel in London. It seems a safe bet there are big things ahead for Money. 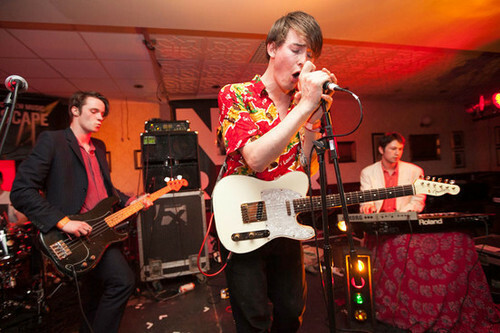 Rumoured to be the next big thing, Lambeth based Palma Violets broke on to the music scene late last year. For the most part of 2012, the new Rock band was hidden away in South London creating their energetic, psychedelic sound and generating a following through secret gigs and the occasional festival appearance. Now they seem to have got the mix right and their catchy debut single, ‘Best of Friends’, is a back to the basics rock song. With an energetic beat to dance to and an anthem-like chorus everyone can sing, it’s no wonder the band won NME’s song of 2012. Having seen the Palma Violets at their very own Studio 180, it is the on stage partnership of frontmen Sam Fryer and Chilli Jesson, reminiscent to that of Pete Doherty and Carl Barât, which draws the crowd in. Their exhilarating live performance of microphone swapping, confident rocking and snarling vocals whips up a sweaty, electric atmosphere. For a chance to experience the Palma Violets first hand, they will next be in Liverpool on the 13th of February, appearing alongside Miles Kane, Django Django and Peace for the NME Awards Tour 2013. It’s been just over two years since a video emerged online of a 15 year old Jo-Vaughn Scott freestyling in the grimy stairwell of a block flats in Brooklyn, New York. 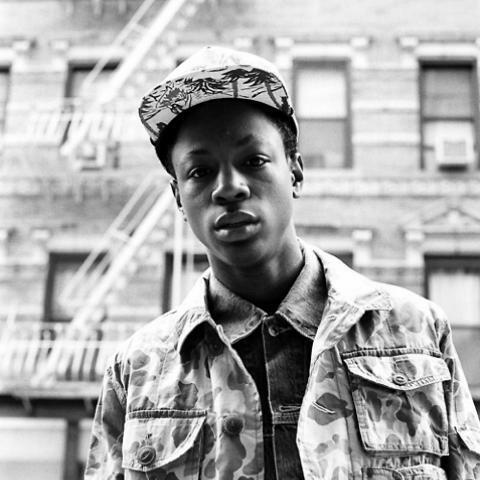 Now going by the name Joey BadA$$, this lanky teenage Brooklynite is starting to make huge waves in the hip hop world. Since the release last year of BadA$$’s first two critically acclaimed mixtapes, ‘1999’ and ‘Rejex’, critics have been likening Scott’s chilled instrumental samples and grimey stop-go flow to the legendary hip hop artists of the East Coast golden era. Unlike many recently successful hip hop artists like Killer Mike, B.I.G. Krit and Danny Brown, Joey’s lyrics and flow are in no way hostile or abrasive. Instead, Joey BadA$$’s music offers to us a resurrection of those old East Coast vibes all hip hop fans love and miss. As a 90s kid and a long time appreciator of that golden hip hop era, Joey’s releases (especially ‘1999’) almost spark up a sense of nostalgia in me. Joey’s reversion to that classic golden age sound, along with his widespread critical acclaim and cult following, makes it hard to believe this guy has only just turned 18. With a currently TBA album expected to drop at some point this year, it’s hard not to get too excited at the potential prospect of seeing the emergence of a modern hip hop icon who still celebrates and represents the old. The teenage duo hailing from Lancaster have been cultivating a strong following this last year, and recently propelled by the involvement of London based label Relentless records, 2013 looks the year Bondax truly make their mark on the British dance music scene. Their appearance and style has drawn comparisons in much of the music press with breakout music act Disclosure, yet there is something truly unique about the pair. When compared to the pop sounds of Disclosure’s most recent releases such as ‘Latch’, Bondax have kept their sound continuously fresh, both failing to conform whilst equally drawing influence from the welcome 90’s revival of recent dance releases. Fusing elements of their future garage root with soulful samples and R&B melodies, each release seems to push consciously forward. They have a definite vision, and though it perhaps has yet to come to fruition, they’re constantly evolving sounds are a breath of fresh air. They know their way around the dancefloor, as exemplified by their remixes of the likes of ‘Mexicana Bounce’ by Seye, whilst the sophisticated textures of tracks such as their recent release ‘Gold’ speak of a musical vision to match their catchy samples and infectious beats. Whether this transfers to immediate mainstream success is another matter, yet if this trend within their work continues, there are only big things to come for these guys his year. 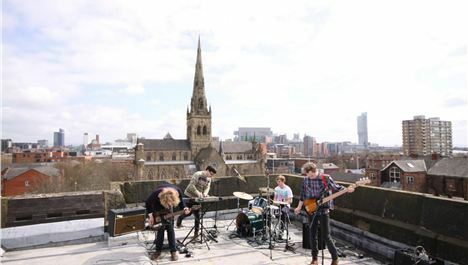 Birmingham’s music scene has exploded onto the forefront of British indie music recently. 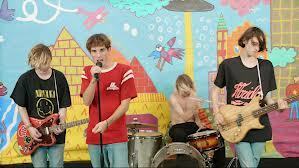 Peace are one of B-Town’s most talked about bands, hyped up like a 10 year old on his first Red Bull. However, it is often easy to forget about the other acts that also hail from such a scene, but deserve just as much attention; Swim Deep are one such band. Poppier than Peace, their scuzzy shoegaze indie has been slowly building a presence in the UK’s consciousness through relentless touring, with a date at the reputable Kazimier scheduled in February. Single ‘Honey’ emits summery vibes, whilst the lyrics draw on the idea of fruitless adolescence that just so many these days can relate to: “Don’t just dream in your sleep, it’s just lazy.” With a catalogue of sublime singles at the ready (such as the blissful grunge-pop ‘King City’), I can’t imagine these guys will be dreaming for much longer. Catch them at the Kazimier on 23rd February; their growing fan base won’t allow such a venue to hold this amazing act by the end of 2013.